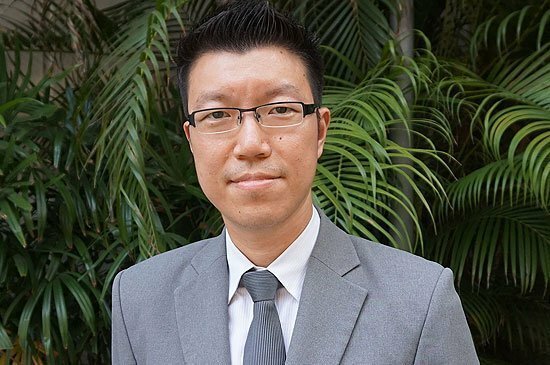 BANGKOK, Thailand (April 20, 2016) – Absolute Hotel Services is delighted to announce the appointment of Khun Peeraphol Jittinboonruan as the new General Manager of the group’s 4-star property Eastin Yama Hotel Phuket. Prior to joining AHS Peeraphol was General Manager responsible for two 4-star properties in Bangkok’s famous Sukhumvit Road area and in his 20-year career in hospitality has worked for internationally-renowned groups including Accor, Conrad and JW Marriott. AHS’ MD Asia Mr. John Westoby said “It’s a pleasure to welcome Peeraphol onboard and with his strong background in the hotel trade I am sure he will continue providing Eastin Yama’s guests with the levels of service and satisfaction expected of an Eastin property”. A touch of Heaven – Eastin Yama Hotel Phuket. Eastin Yama Hotel Phuket is located in Kata area with fantastic views of the ocean and mountains. Guests can escape from the crowd and enjoy the modern contemporary comfort of facilities and design by stimulating the five senses. The hotel will consist of 104 rooms and suites with choices of mountain view and sea views, some rooms enjoying pool access. Facilities will include a gym, swimming pool with jacuzzi, teenage room, an all-day dining restaurant and a themed rooftop restaurant with sky bar. For meeting, the hotel will also have a meeting room that can accommodate group meeting from small to mid-size. Absolute Hotel Services (www.absolutehotelservices.com) provides a unique range of hospitality services and consultancy on an a la carte basis that includes marketing/feasibility studies, owner representative services, master planning consultancy, pre-opening consultancy, brand creation/consultancy and training as well as hotel management services from technical services and pre-opening assistance to management contracts for U Hotels & Resorts, Eastin Grand Hotels, Eastin Hotels & Residences and Eastin Easy, the hotel brands of Absolute Hotel Services. There are 60 properties with 8000 keys under its management. Amongst these, there will be properties with 3500 keys in Thailand, 1800 keys in Vietnam, 1200 keys in Indonesia, 2400 keys in India/Middle East and 100 keys in Europe which all will be operational by 2016/17. By 31 March 2016, AHS aims to have a total of 10,000 keys and 80 properties under its management. Farewell summer 2016 at Amari Phuket with an exclusive one-bedroom suite deal!